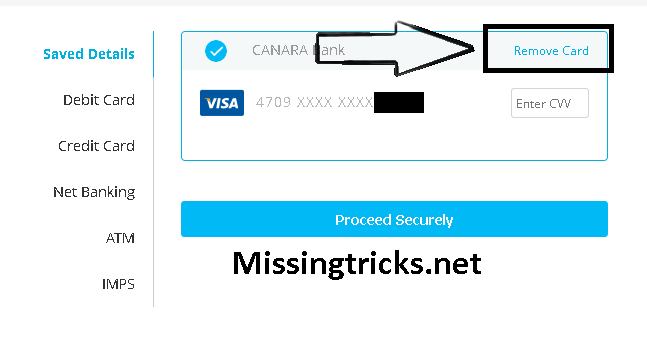 Hey Guys, We are here with another Paytm trick, in which you will be know about that how can you remove saved card details from Paytm easily. This is the very easy, and Full tutorial about Steps for removing Saved card details from Paytm. Last time, we was shared tutorial about How to Remove Saved card from Freecharge. If you have ever done any shopping From Paytm, then you must know about that, Paytm save your card automatically for use in future. 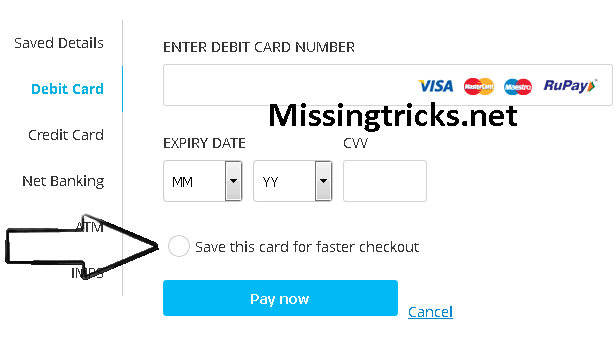 so we are here with Tutorial on, how to remove saved card details from Paytm. also checkout How to Send Paytm Cash to bank account. Now, Login with your Paytm account, in which you Debit / Credit card is saved. 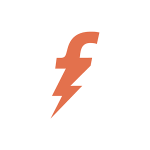 Now, Initiate a recharge of rs 10, and skip coupons and Goto Payment Page. In Payment page, you will see an option of Remove Card, Just Click on That and you are done. Whenever you do any recharge, or Shop from Paytm, then in Payment Page, you will see an option for Save this card for faster checkout , Just Un tick this option and you are done. 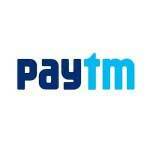 now make payment, and your Card will be not saved by Paytm. So This was the best way, for Prevent your card being saved by Paytm. you can untick this option, and then they will not save your debit or credit card. Paytm save your card details, because that you can do faster transactions in future with same card, because you don't need to add your card details again and again, if you save your debit card. for security , it's recommended you to don't save your card details, in paytm. If you are facing any difficulty, while following this guide, then you can comment below. i will try to help you out. And Remember that, Paytm is India's From One of the most popular and trusted website, in which you can save your card details, and it will be safe. 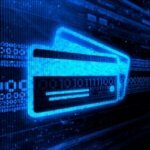 But you can also remove your card details from paytm, if you have used your card details in any other people's account. So guys, Must share this Guide from Below once. and Keep visit here for find more tricks like this. Thanks for visiting. is there anyway to view the full card number on paytm. im inconvenienced temporarily by the lack of my card , can you tell me how to get the number.